Happy New Year! One of my resolutions this year was to find a time each day where I really focus on quality learning with my 2 year old Madelynn. With baby #2 arriving in just 3 months I knew I needed to get a good routine going before we throw another baby into the mix. I can’t do anything without a plan, so I spent the past month really thinking about all the details for how to get “tot school” going with her? 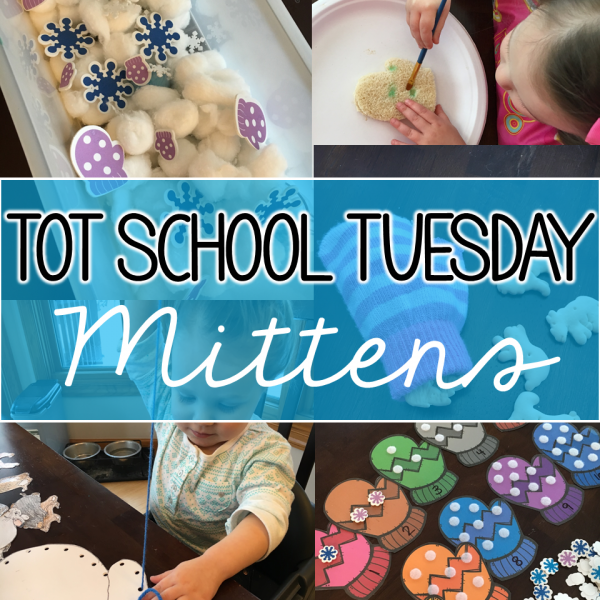 What is “tot school” you ask? Well to me it just means a time each day where we explore and learn together. Of course there is LOTS of learning sprinkled through all of our other playtime and interaction throughout the day, but this is a special time that I spend 1 on 1 with Madelynn exposing her to all sorts of skills and concepts. 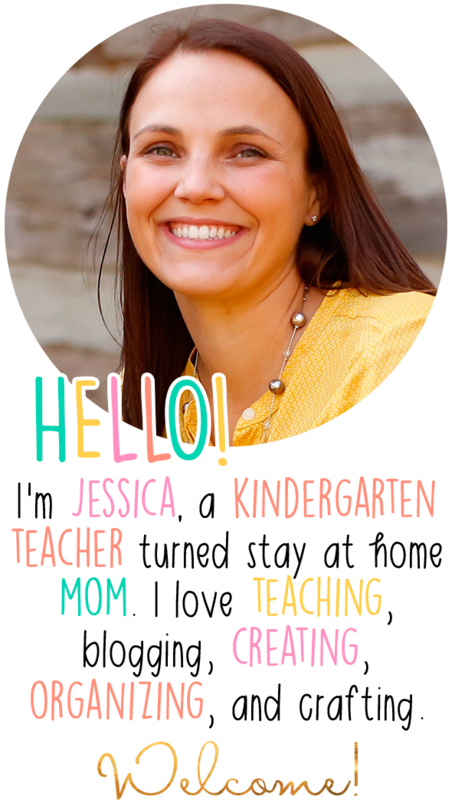 If you’d like to learn more about where this idea started, you can check out this post from 1 + 1 +1 = 1. What do you want your child to learn? For me that meant what themes and concepts would we explore together. During our play I focus on shapes, colors, numbers etc. all the time but I feel like I tend not to focus on letters as much. M is a little young to truly learn letters, but it is never too early for exposure so I decided to work with a focus letter each week which tied into a concept. Here is the calendar that we plan to use for this year. Click on the image to grab your own copy! If I don’t have a plan, then I know I won’t do it. I chose to have our planned tot school the hour after nap for a few reasons. #1 We usually run errands, go to the gym, have classes etc in the morning. #2 Naptime is the perfect opportunity for me to gather anything that needs a little set up before M can use it. And #3 Madelynn’s energy is at about a 300, while mine is slowly dwindling, so truth be told afternoons can get LONG with this toddler. Having something planned helps me keep my sanity 🙂 Here is what my normal daily schedule looks like if you are curious. Now check back with me in 3 months when everything is 10 kinds of crazy with a newborn in the house. But having a plan helps me feel better about M not getting lost in that mix! I planned an hour or so each day, and divided that into 5 categories of learning/play. We will probably spend anywhere from 5-15 minutes on an activity depending on Madelynn’s interest which is her usually attention span for most things. Here is a peek at what I have planned for this week. Click on the image to grab a copy. As I said earlier, I will blog about all of our activities the following week, so check back on Tuesday! 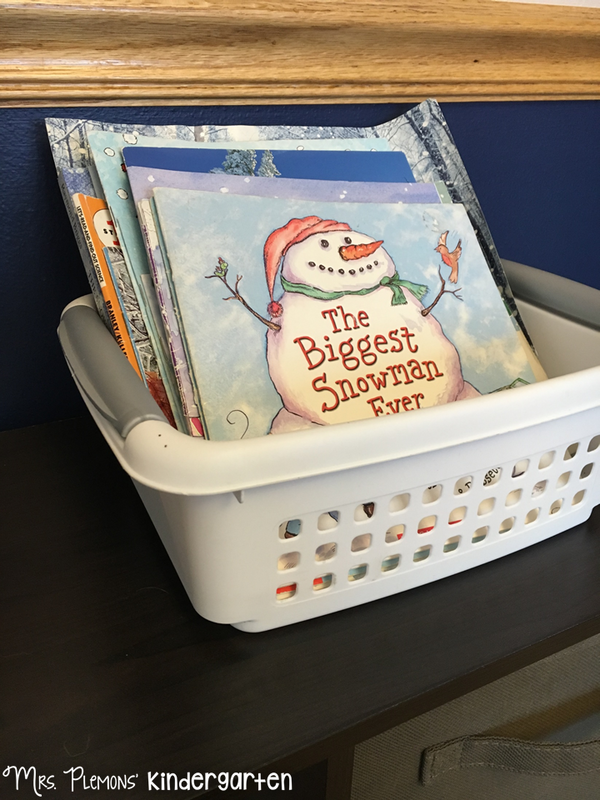 I started by gathering all the books I could find related to the weeks topic and put them in a small bin on our playroom bookshelf. 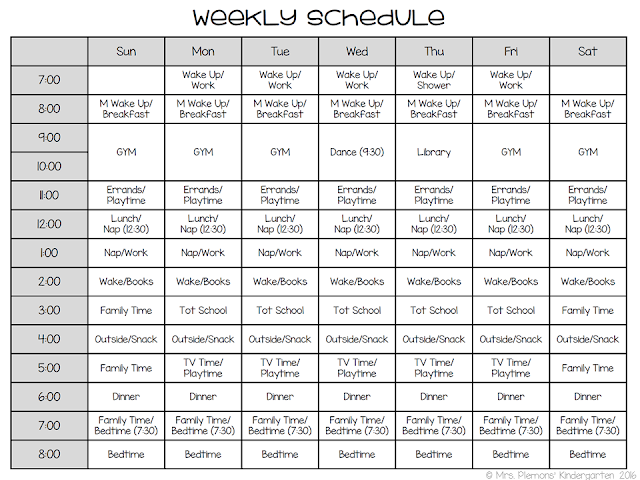 We will read the books listed on the weekly plan together each day, and the others will be out for Madelynn to read throughout the day. 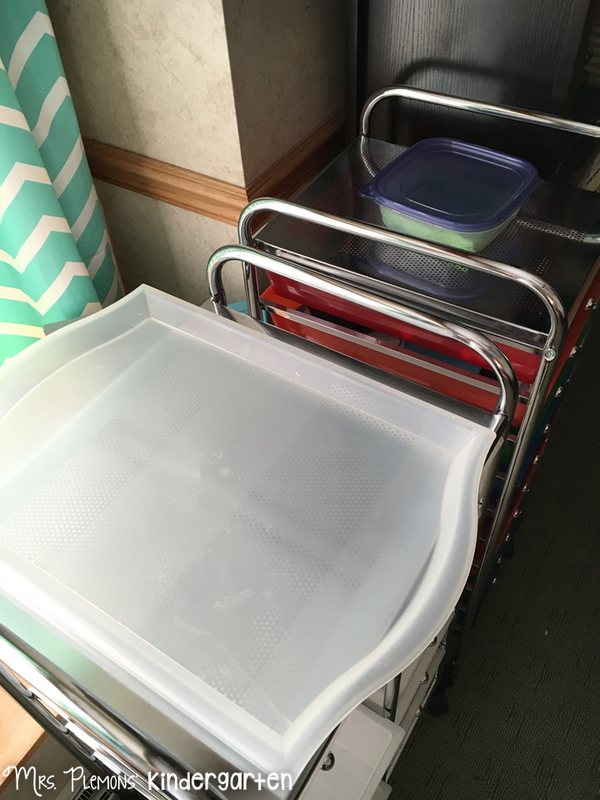 Next I had these 2 lovely carts from my classroom that have been hanging out in the basement for the past 2 years and I knew they’d be perfect for getting organized. 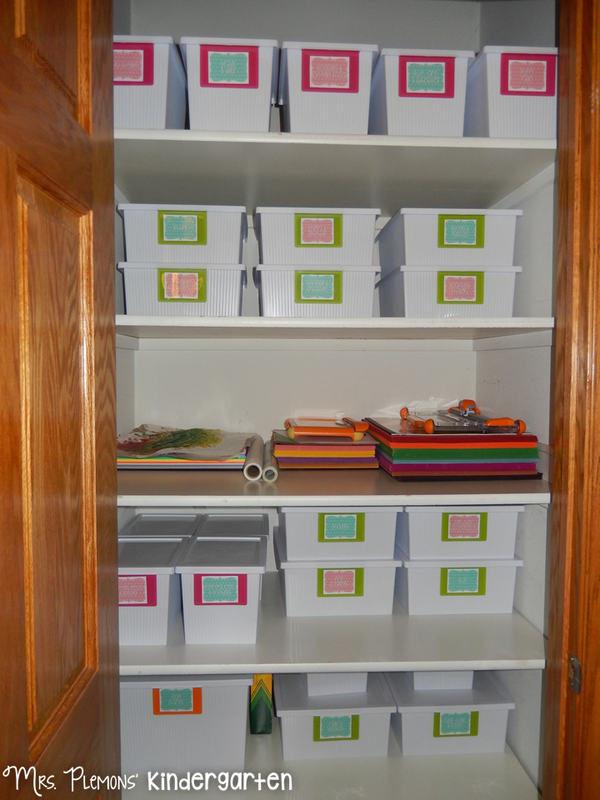 They each have 10 drawers which means they are perfect for 2 weeks worth of activities. I am using the clear one to hold our sensory bins and they are the PERFECT size. Just slide out and explore. No need to store materials in 10 different places to transfer into a bin each day. The added bonus is that M can use the bin at a table or on the floor depending on her preference. I chose not to label these by day because I anticipate using the same bins throughout the week. 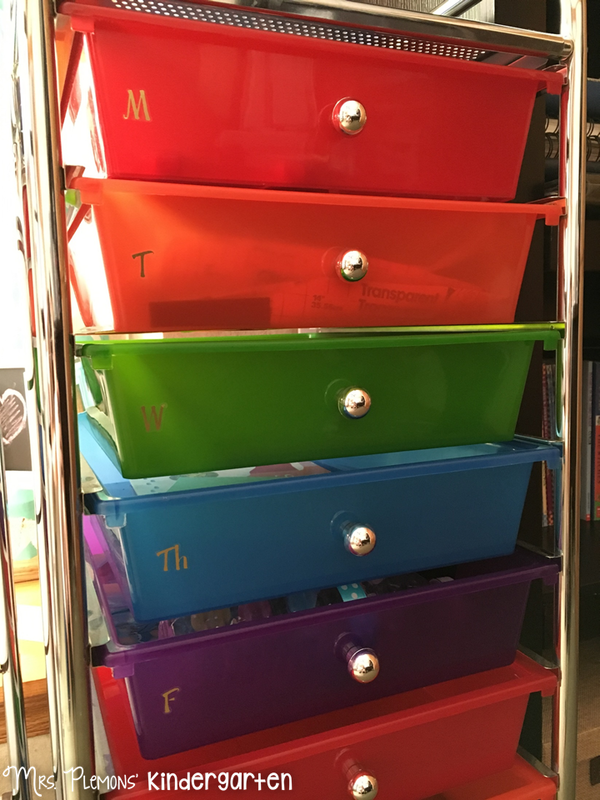 The colorful cart holds the book and fine motor materials for each day, so I labeled each drawer accordingly. These drawers also slide out and become the perfect tray to keep everything together while playing. I also have a clear tray that I use when we are doing art projects and things to protect the table and help keep all the materials together. I just store that on top of my cart. 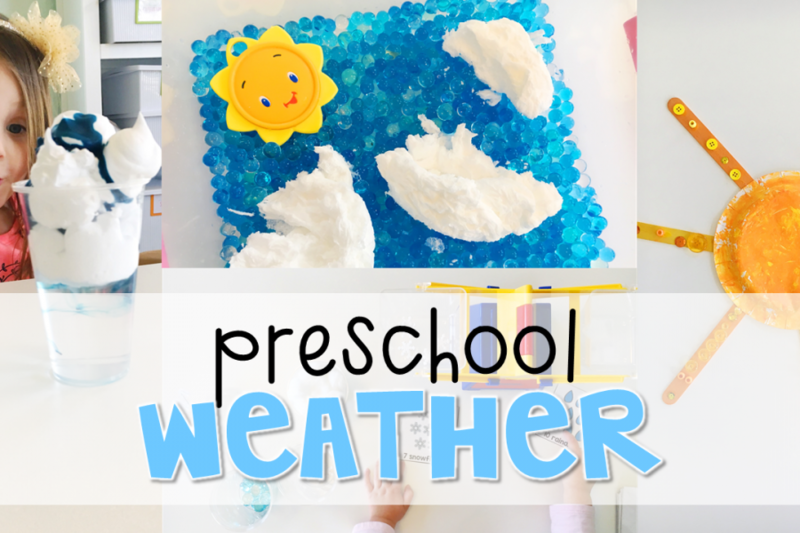 Don’t feel like you need to go out and buy a zillion supplies to get started! Luckily I kept everything that I had purchased for my classroom when I became a stay at home mom, so I have lots of random craft and learning supplies already at home. As you plan activities try to pick the ones that you already have the supplies for. This week all I had to go out and buy was Borax and glitter glue, just to give you an idea. There are SOOO many ideas out there on Pinterest so you definitely don’t have to use every one or you could spend $100 a week just gathering supplies! I like to have most of what I’ll need in one place to make prepping for the next week easier, so here is a peek at my office closet which houses 99% of our craft supplies. Books and other learning tools from my teaching days are all in our basement storage room ready for me to grab as well. 6. Let them be Little! And lastly, just do you! If a schedule and structured lesson plans aren’t your style, then pick some activities and pull them out throughout the week when you feel inclined. 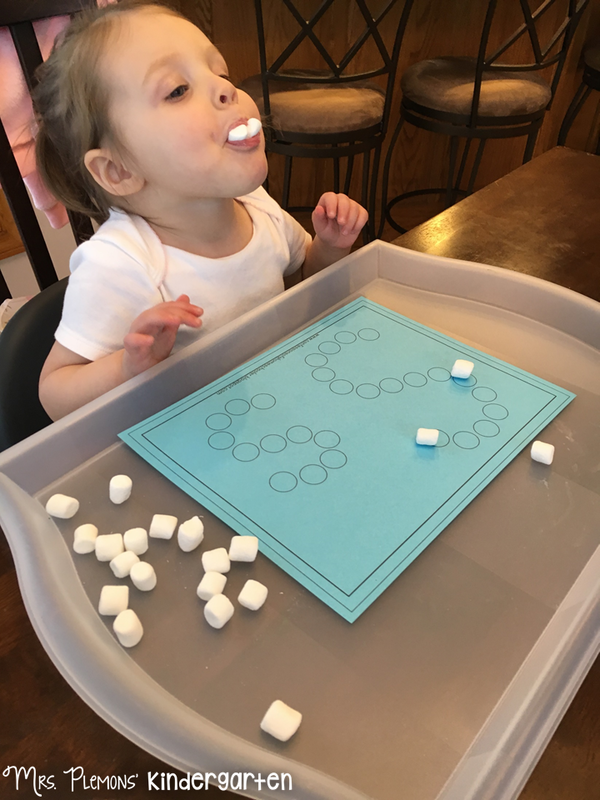 Maybe you are brave enough to house your trays in your playroom and let your little one pull them our when they desire. Maybe you aren’t at home full time but want to try one activity each week on Saturdays. Whatever your style is, be true to yourself or you might go crazy. Don’t let social media anxiety drive your plans. Remember that usually you are only seeing the highlights, not the 30 minute battle to get dressed, the tantrum because a certain someone wanted their sandwich cut into triangles not squares, or the meltdown because they really wanted to drink bubbles for snack. True story, this is also my day to day life with a toddler. Celebrate the fact that you want to play and learn with your toddler, because that’s the whole point anyways. Seriously? I LOVE YOU! You make me want to be a MOMMY! I love this blogging idea!!! Thanks for being so creative and willing to share your fabulous ideas to make us all better! 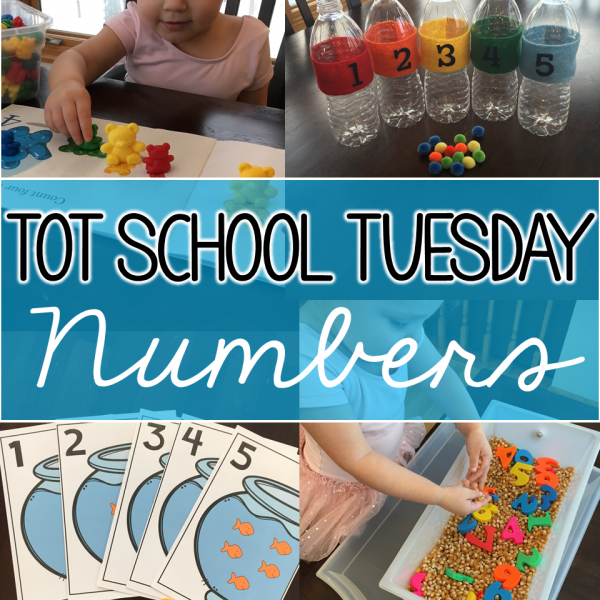 I love these ideas and the thought of Tot School!! 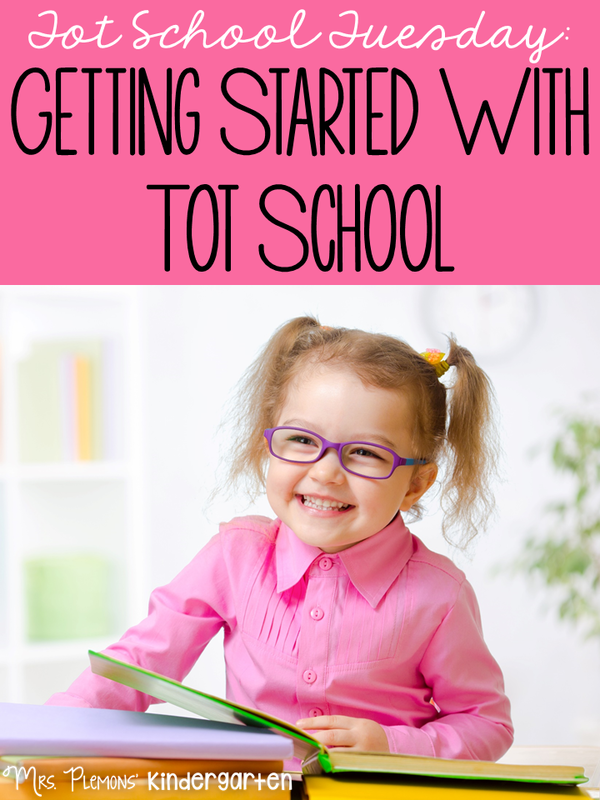 I am blogging about my own Tot School and how you inspired me to start it with my daughter! I have a link back to your blog and encourage anyone who reads my blog, NOT MANY YET!, to go to your page and check back at all the fun things you are doing! Hope that's okay! I saw your weekly plan for snow and I love it! Do you have any more themes planned out like that? I have 9 weeks planned out like this from the spring. 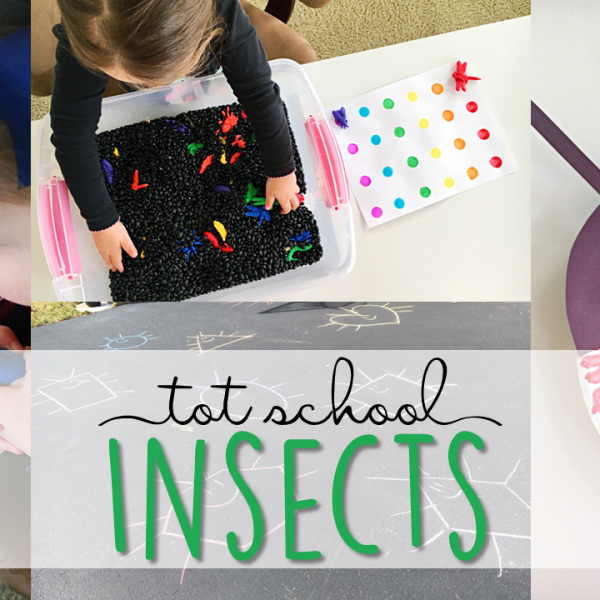 You can find those plans all linked in the bottom of this post: http://www.mrsplemonskindergarten.com/2016/03/tot-school-tuesday-easter.html. I had to take a little break when we had our second daughter, then we bought a house and moved so life was crazy for a while. I am planning on starting up again in 2 weeks and will be posting all of my plans each Tuesday again, so stay tuned! Thanks for checking them out! I only have 9 weeks posted, I had to take a little break when we had our second daughter, then we bought a house and moved so life was crazy for a while. I am planning on starting up again in 2 weeks and will be posting all of my plans each Tuesday again, so stay tuned! 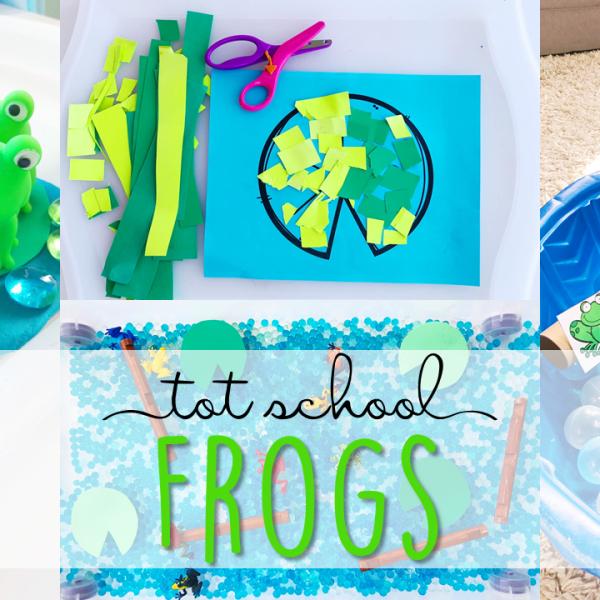 for your 2016 tot school themes do you have each individual calendar? I absolutely love your theme weeks!! I homeschool and this is going to help so much! I always have ideas for fun things to do, but somewhere along the way they get lost in the craziness of life. This year, my son is going to unofficially start TK. I know these don't cover the whole year, but it definitely helps getting ideas and getting creative in lessons. Do you have an ediable template of your tables so that I can create my own units?